Deontay Wilder has apologised if a punch he landed on a mascot on a television show led to an injury to the person inside the costume. The WBC heavyweight champion floored the mascot, wearing a sombrero and a moustache, with one punch after apparently being invited to show off his power on the Spanish language Nacion ESPN. 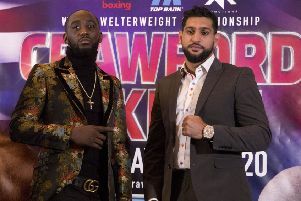 Reports circulated that the recipient of the punch had suffered a broken jaw while Wilder denied he was unaware there was anyone in the costume. A contrite Wilder has offered the mascot tickets to his upcoming bout against Tyson Fury on December 1 in Los Angeles. He wrote in an Instagram post: “Anything headlining I didn’t know a “Human Being” was in there is just straight “Click Baiting” like come on now, I guess the Mascot rolled out there. show so respect! “I sincerely apologize to the brave man that was injured (if this is true) I have the up most high respect for him, his participation, willingness and courage.